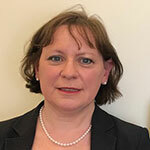 Dr Mari Harty, Clinical Director of the SLP Forensic Programme, is a Consultant Forensic Psychiatrist and Clinical Director – Forensic, Specialist and National services at South West London and St George’s. She leads a team of psychiatrists and is responsible for end-to-end service delivery. Mari has published on a range of forensic issues including the needs of patients in the High Secure Psychiatric Hospitals, community forensic services, prison mental health inreach and service provision for women.